Situated on Brazil’s east coast, Rio de Janeiro is one of the most exciting cities in the world. From the lively beaches to the unique party atmosphere, it completely lives up to its reputation as the carnival capital of the world. 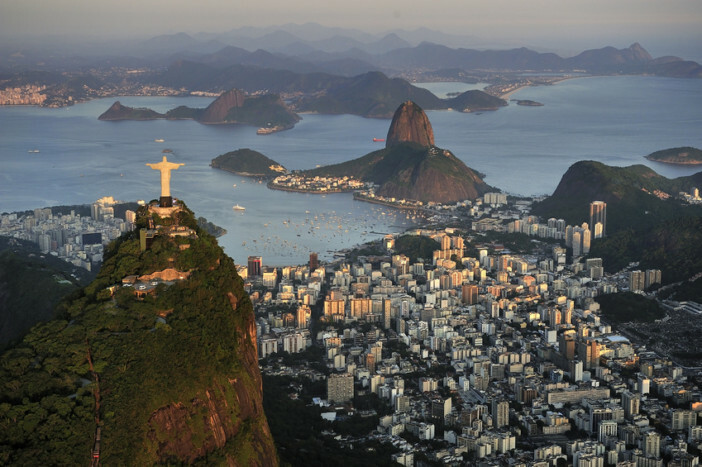 Rio, as it’s commonly known, was founded over 450 years ago by the Portuguese. It’s since been home to Portuguese royalty, and eventually became capital of Brazil in 1822 after their war of independence. In 1960, the capital was moved to Brasilia, but Rio remains one of the most visited destinations in the Southern Hemisphere, attracting around 5 million tourists each year. 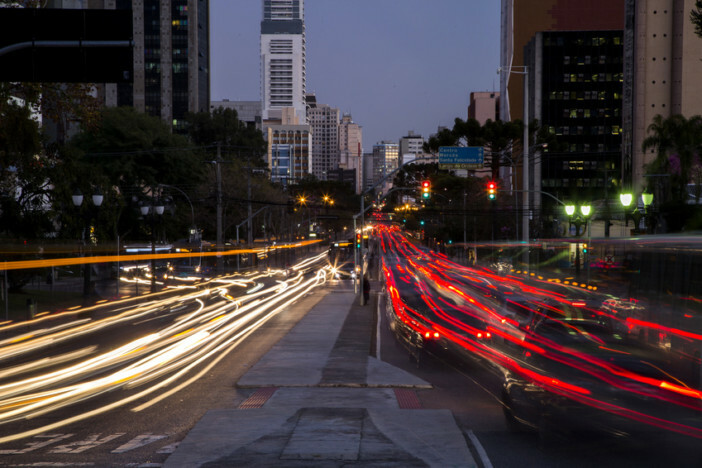 So, what can you expect from Brazil’s second largest city? Think unique art, fascinating culture and iconic landmarks mixed with spectacular views, the world’s best beaches and food that makes your mouth water. Yes, Rio truly is one of the world’s most amazing cities. Read on for our guide to its best attractions, how to navigate the city and where to fill up on the best food and drinks. They say the best way to explore any city is by foot. That’s certainly the case with different parts of Rio. Wandering through the neighbourhoods, you can get a real sense of the unique and contrasting cultures. You see things up close that you would simply miss when you’re whizzing past in a car. However, taking the whole city by foot would be quite the challenge. Getting from Copacabana beach to Santa Teresa is a hefty two-hour trek, for instance. Not ideal in the Brazilian heat. So, here are some transport options ideal for getting between places. Hop-on, hop-off sightseeing buses are relatively new to Rio, and get mixed reviews as a result. That’s no problem though. Rio has over 400 bus lines, taking you to all the major tourist attractions and beyond with frequent services. Best of all, they’re cheap. A ticket costs R$3.80 – less than a £1 – so you can get to wherever you need without burning a hole in your pocket. Rio’s subway system is also relatively new – compared to other cities – but has now been in operation since 1979. It’s made up of three lines, covering over 40 stations. Single journey tickets are slightly more expensive than the bus, costing R$4.10, but provide a more pleasant form of transport, which is quicker, especially for longer-distance journeys. 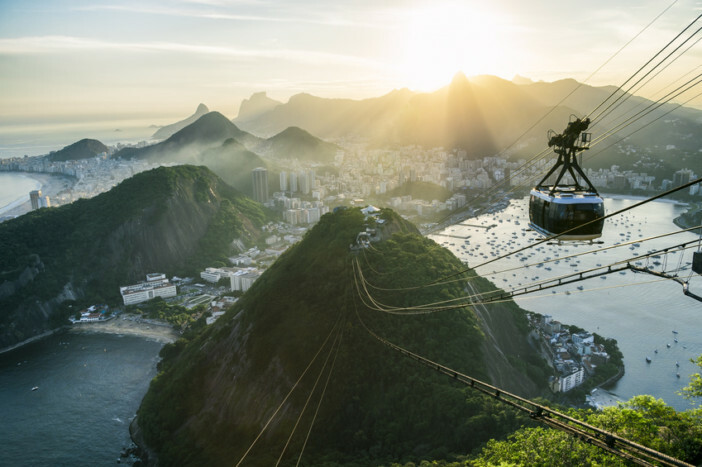 There’s an incredible array of things going on at any time in Rio, so to help you make the most of your stay, here are a selection of things we think everyone visiting this amazing city should see and do. 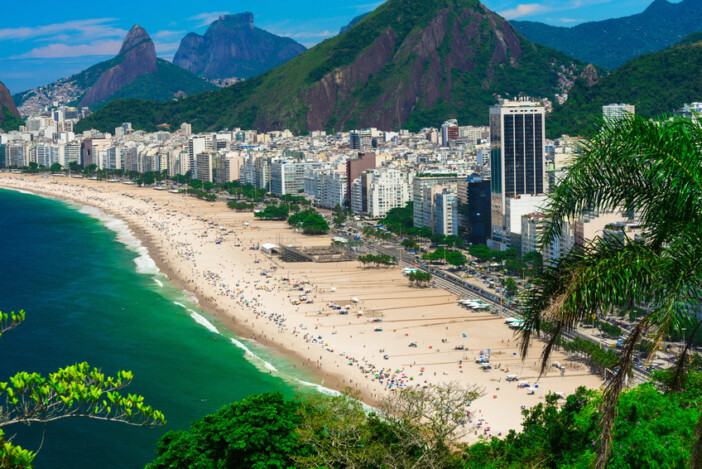 Rio is world-renowned for its beaches, and it doesn’t get any better than Copacabana. Stretching two and a half miles across the south-east coast of Rio, this vibrant beach is conveniently lined by a variety of authentic food and drink outlets. Sunbathe, dive in the water, play some beach sports or even take a stroll along the promenade. One of Rio’s most distinctive landmarks is Christ the Redeemer. It’s an incredible 98-foot statue of Jesus with outstretched arms – 92-feet in width. Standing over the city from Rio’s Corcovado mountain, an attraction in itself, the statue attracts nearly two million visitors every year. For the best views of the city, you’ll want to visit Sugarloaf Mountain, named because of its resemblance to (you guessed it) a sugarloaf. Situated to the east of the city, at the end of the Copacabana beach, the mountain is complete with a glass-wall cable car. Take in the stunning panoramic views as you sail 4,600 feet firstly to the 722-foot-high peak of Morro da Urca then on to the Sugarloaf peak at 1,299 feet. 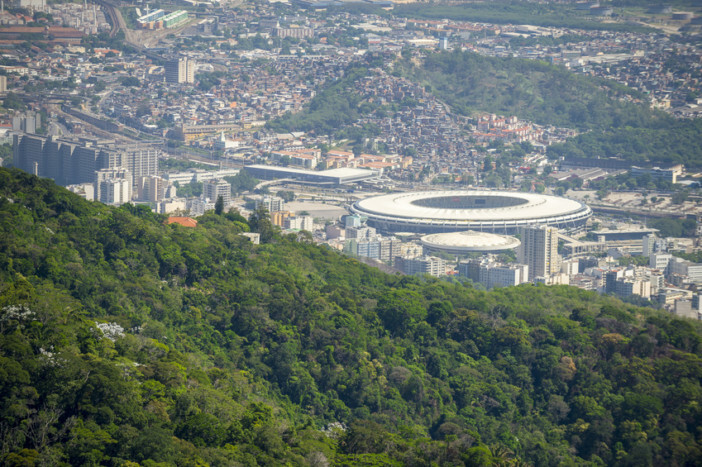 The Maracana is one of the world’s most iconic stadiums, and has hosted two World Cup finals and one Olympics games. Built for the 1950 World Cup, the stadium has since hosted a range of musical acts, including Frank Sinatra, Paul McCartney and Tina Turner. Whether you’re a sports fan or not, it’s worth visiting this magnificent 80,000-capacity stadium. 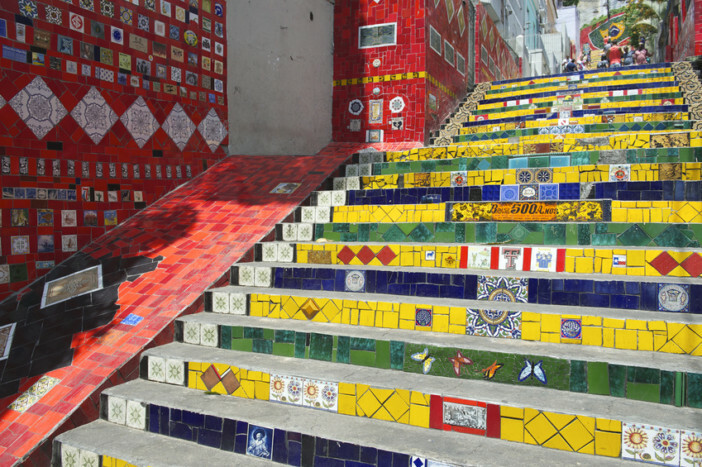 Also known as the Selaron Steps, these iconic steps sit between the unique neighbourhoods of Lapa and Santa Teresa. They were decorated back in 1990 by Chilean-born Jorge Selarón, as a tribute to Brazil and its people. He completely transformed the steps, adorning them with tiles from over 60 countries (some hand-painted) in the classic yellow, blue and green of Brazil’s flag. After a long day exploring the finest parts of Rio, there’s plenty to eat and drink. Here are a few of our suggestions. Opened in 1983, Olympe provides an intriguing mix of French and Brazilian cuisine, curated by French Nouvelle chef Claude Troisgros. 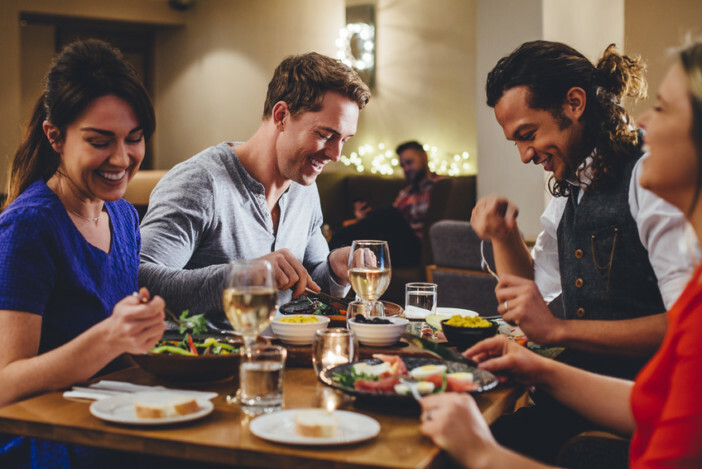 Now run by his son, Thomas, the restaurant is a favourite for locals and tourists alike looking for fine dining in a welcoming atmosphere. You can’t talk about Brazilian food without mentioning (and dwelling on) churrasco. Not heard of it? 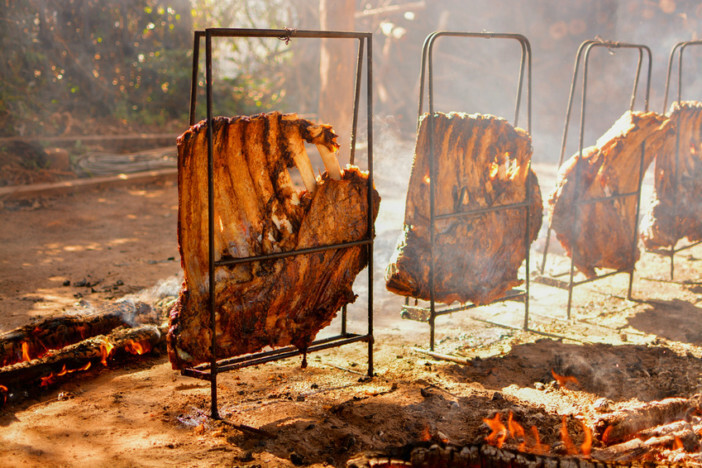 Quite simply, it’s grilled meat in abundance, and the Brazilians have mastered it. Churrascaria Palace in Copacabana is one of the best around, serving food “rodizio” style, where succulent meat is sliced directly onto your plate from skewers. Got a sweet tooth? Confeitaria Columbo has been serving a plethora of delicious desserts since the late 19th century. Enjoy exquisite Brazilian sweet treats in the most lavish surroundings, with stained glass windows, sky-high ceilings and grand, belle époque architecture. If it’s bars you’re looking for, you can’t go wrong in Lapa. The lively district is full of authentic bars with equally authentic drinks. Sip a Caipirinha while you listen to live Brazilian music – what could be better? 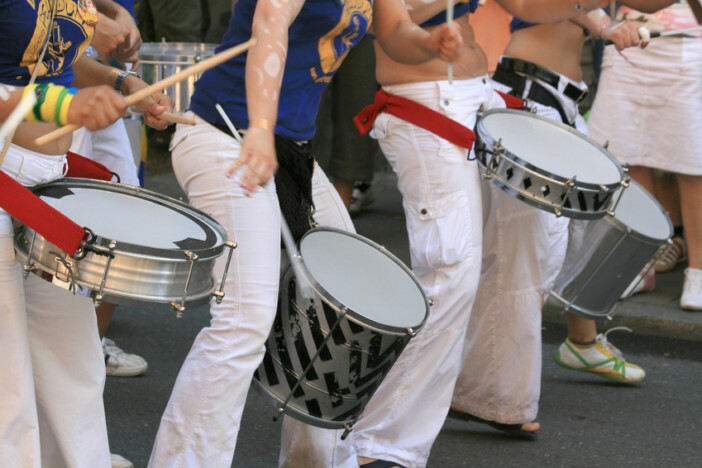 A popular choice – particularly for its music – is Circo Voador, the Flying Circus. 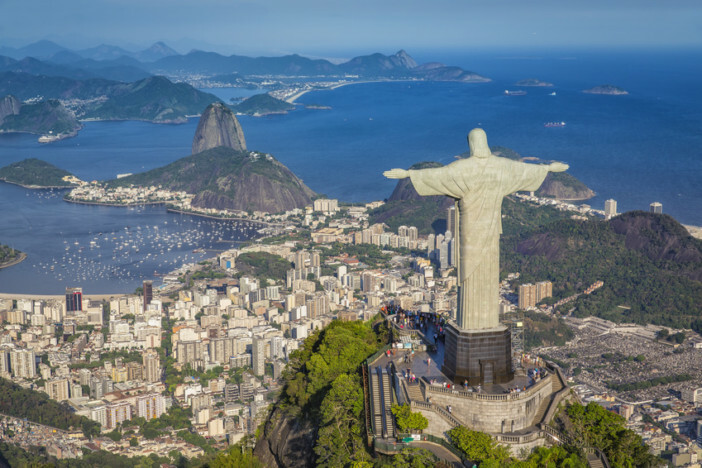 Our amazing Brazil cruise packages are the perfect way to see the best of Rio, as well as lesser known gems like Ilheus on the southern coast. Alternatively, you can give our team of cruise experts a call on 0808 274 6777 to hear more about our latest deals. Read on for our guide to its best attractions, how to navigate Rio de Janeiro and where to fill up on the best food and drinks.